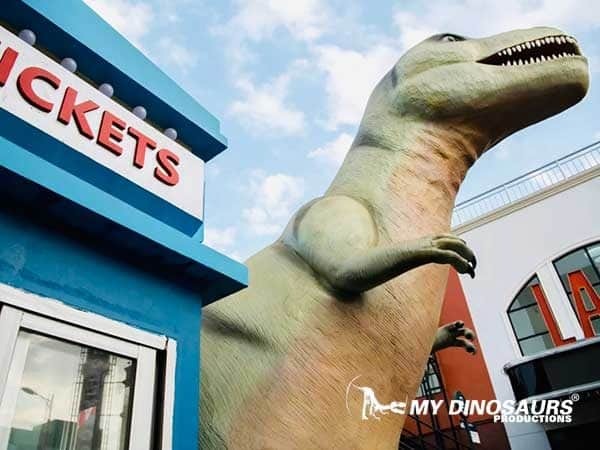 A team from a film and television production company contact us to add dinosaur theme props to their new photography base, We’re very pleased that they shared the ideas and objectives of the project, which made us know that they hope to make the base into a personalized and comprehensive space for plane shooting, film and television production, fashion show etc. How to combine dinosaurs with fashion? 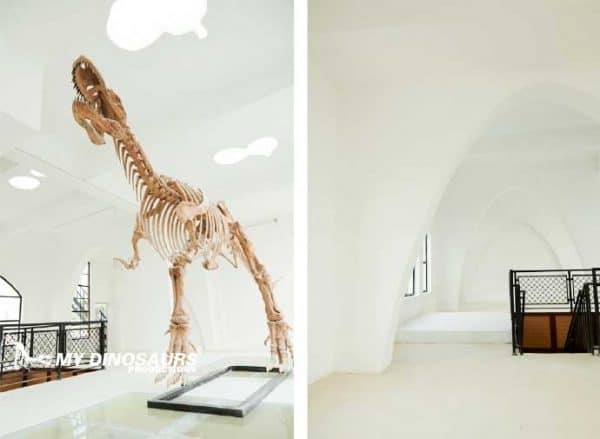 How to integrate dinosaur products into the established environmental decoration style? How to meet the diversified demands of customer? 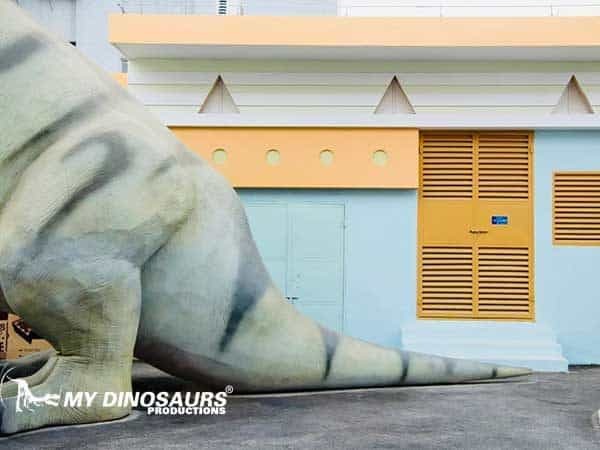 With these thoughts, according to the experience of our previous projects, after several improving proposals and collisions with ideas, we finally created two classic theme scenes of Wonderland Dinosaur Museum and Dinosaur Amusement Park. 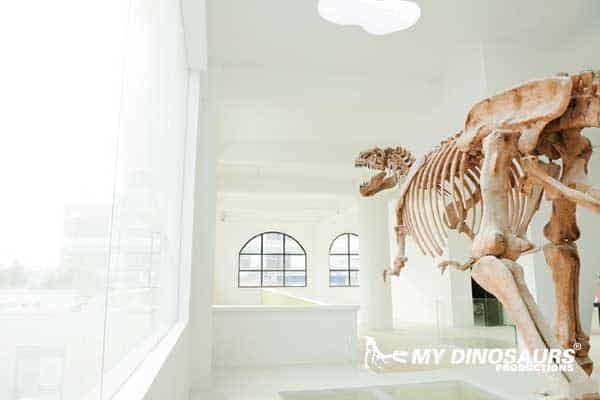 In the Wonderful Museum, the life sized T-Rex skeleton stands on side of the space.The skeleton texture, which has been repeated consideration and carefully carved by our technicians,showing the realistic effect of the skeleton;The appearance does old realistic color, make skeleton and the pure white space perfect match,looks more stylish and exquisite. 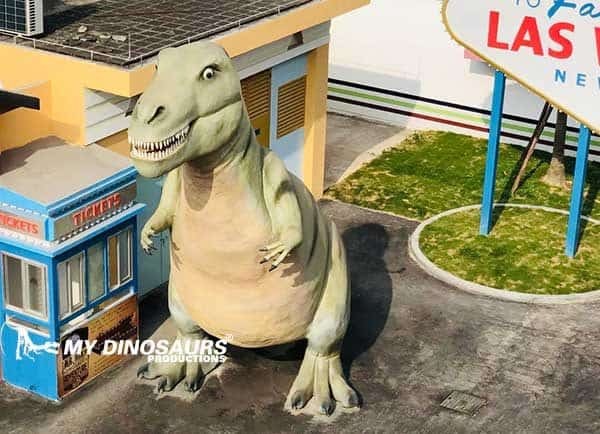 Dinosaur amusement park, the client hopes that it is a childlike and imaginative space, so we intend to change the image of dinosaurs that were fierce and difficult to get close to in the hearts of human.From the initial idea prototype, to the effect design drawings, then to the material selection and the improvement of the details,we created a cute and brave cartoon dinosaur, it satisfies everyone’s fantasy of interesting space. This customized theme space,from the concept,design,production and installation, the whole process took only 25 days,we put the customer’s ideas and demands into the product perfectly, exceeding the expected effect, both of us are very happy to cooperate with each other,our team also very honored to have such a creative experience. 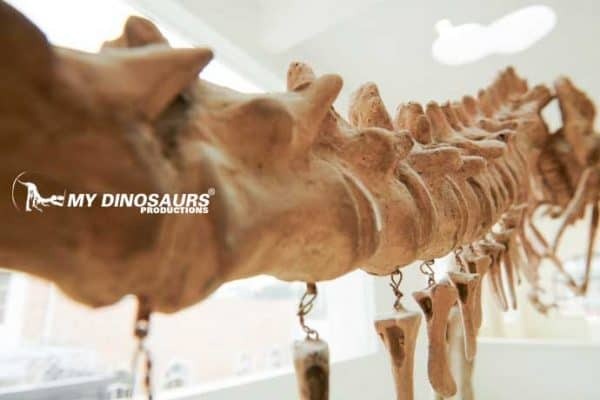 Now, the customer feedback that there are many fashion shows, the magazine shooting business to make an appointment for the base, the dinosaur theme space is very popular among the fashion people, the customer said that they will also undertake various art exhibitions , product static display, cultural propaganda and other activities, looking forward to our next cooperation! 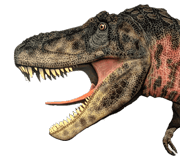 Should you want to create the special dinosaur theme space? Contact us to help you achieve it. This entry was posted in Business Cooperation, New Products, Our Projects, Parks, Product Showcase. Bookmark the permalink.